Dr. Barry Leonard is a therapeutic Optometrist with glaucoma certification and is trained in the treatment and management of eye diseases, specialty contact lenses, corneal refractive therapy and the pre and post-operative care of patients. 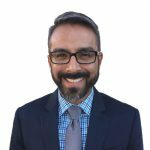 Dr. Leonard earned a Bachelor of Science degree in Biology from San Diego State University and a Doctorate of Optometry from the Southern California College of Optometry. He served his internships at the Center for the Partially Sighted in Santa Monica and Fort Ord Army Hospital. 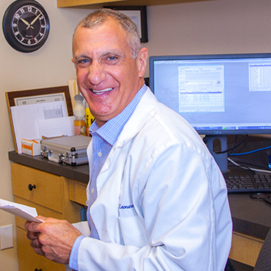 While Dr. Leonard is a General Optometrist who manages all types of eye disorders, his special interests are in custom contact lenses for patients with corneal conditions; Keratoconus, dry eye and surgical complications. This includes custom soft lenses and tailor-fit scleral lenses. Dr. Leonard is an Adjunct Clinical Professor for Western University of Health Sciences, Pacific College of Optometry and Pennsylvania College of Optometry Salus University. He is a member of both the American Optometric Association and the California Optometric Association. He is also a member of the AOA Contact Lens and Cornea Section. Dr. Barry Leonard sees his patients as partners in their vision health. He takes the time to listen and inform valley eye patients about their vision health. Dr. Leonard was born and raised in the San Fernando Valley. He practices in the office his father originally opened in 1957. Dr. Leonard currently serves as the Chairman of the Board for the Greater San Fernando Chamber of Commerce. He is currently involved in various community organizations including the Mid Valley Jeopardy Foundation, Rotary and the Volunteer Optometric Services to Humanity. He is a three time Ironman Triathlete and a LA Marathon Legacy Runner. Dr Leonard lives in the San Fernando Valley with his wife and three dogs. He greatly enjoys spending time with his two grandsons.